This is a book for all the curious kids whose parents won't let them take apart the family's brand new digital camera. The stuff around us has some pretty cool insides that we don't usually get to see. That's why National Geographic Kids is dissecting all kinds of things in How Things Work: Inside Out,! Read along as we dissect, explore, and explain how things do what they do. 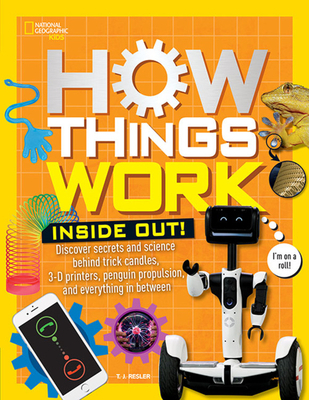 Complete with exciting diagrams and illustrations, accessible explanations, trivia, and fun features, How Things Work: Inside Out explains cell phones, 3D printers, lava lamps, skyscrapers, and everything in between!